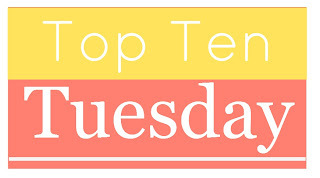 It's been a while since I've done a Top Ten Tuesday, sadly. I love this weeks theme so I decided to join in. I will say my ten choices are going to be an extremely (and maybe even crazy) mixed up group. ;) haha! Anna from Anna and The French Kiss: She is so sweet, upbeat and downright totally awesome. I could see her being one of my closest friends at the table. Robin Goodfellow aka Puck from The Iron Fey series. I love a man who can make me laugh, and who is definitely eye candy. I think we could get along famously. Kaylee from The Soul Screamers series. I can just see myself being a really good friend with her. She's loyal and brave. Besides having an epic power, she comes across as being helpful and selfless. Katarina Bishop from the Heist Society series. Kat would be great for sneaking us some free food or even figuring out a way to cut next period without getting caught. + 10. Eleanor & Park from Eleanor & Park. (haha) They both would add such diversity to the group. I could see them both being close friends with me as well as Roth, Anna, and St. Clair. What do you all think of my choices? "Are you a witch?" he asks. I respect him all the more for coming straight out with it. I should lie to him. For his own good. I should, but I don't. "Yes," I say quietly. "But I'm not the one who erased your memory. I swear it." He leans forward, squinting. "How do you know my memory been erased, then?" - Taken from page 138. Oops, did she make a slip of the tongue. Did she erase his memories? I need to know more and that cover art is superb. It also sounds like you have some very special guests at your table. A really fun post today Beckie! I would like to know the answer to his question too! Great tease, thanks for sharing! Great top ten, I really like it! With Puck it will definitely be a lively event :). Thanks. I had to add Puck, he is such an awesome guy! OMG that tease. 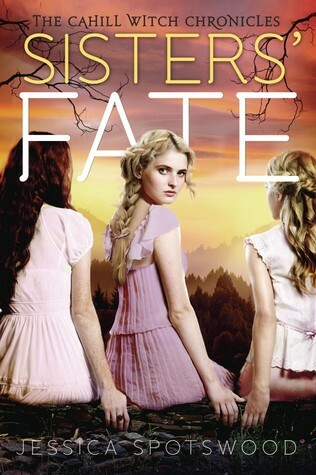 I need to go read Sisters' Fate right now. I'm super excited for all the angst/tension w/ Finn not remembering (or remembering???) Kate. You should, like NOW. ;) haha It's realllllly getting good now. Thanks! I will head over and check out yours now. Thanks for stopping by.